OMEGA’s SSR330 & SSR660 Series Solid State Relays (SSR) are single-pole, normally open switching devices with no moving parts, capable of millions of cycles of operation. By applying a control signal, the SSR switches “ON” the ac load current, just as moving contacts do on a mechanical contactor. “Switching” takes place at the zero voltage crossover point of the alternating current cycle. Because of this, no appreciable noise is generated. 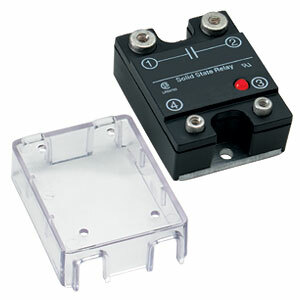 Both dc and ac input control signal models are available.